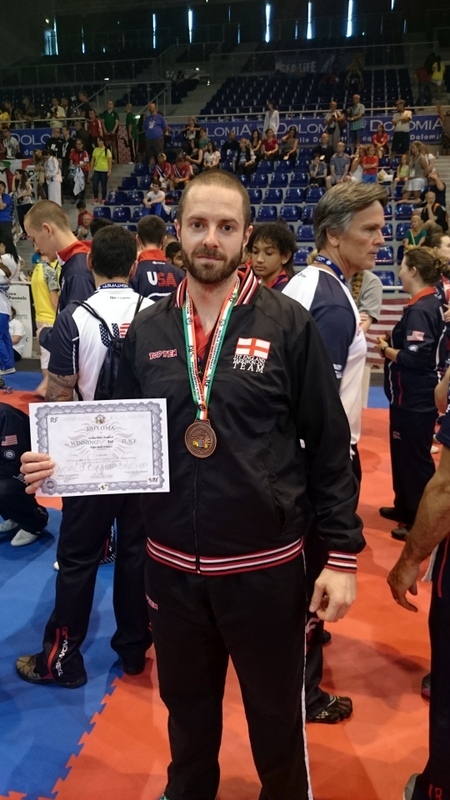 On 25th May, Tunbridge Wells Taekwon-Do instructor Luke Thompson flew out to Italy with the rest of the England Taekwon-Do team for the ITF World Championships. 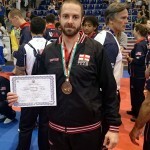 Mr Thompson was representing England in individual patterns (4th-6th degree), team patterns and team breaking. On the Wednesday Mr T was up for the individual pattern event. 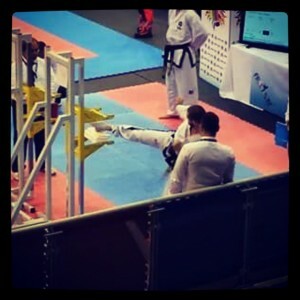 He won his first round against Japan but then lost in the 2nd round to the 2013 silver medalist from Canada. On the Saturday it was the team pattern category. 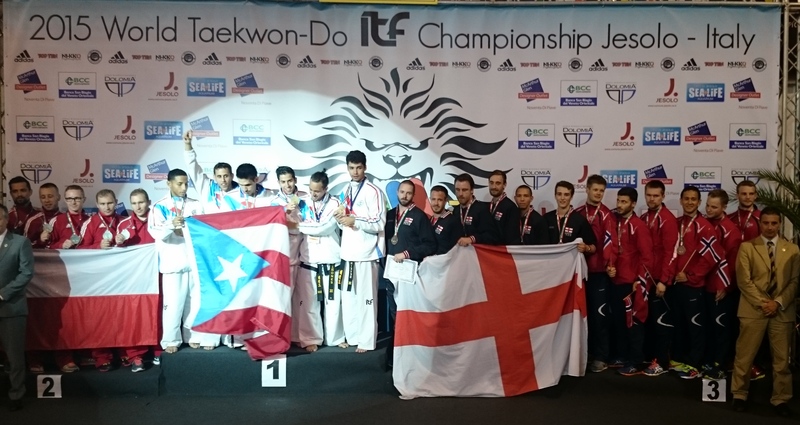 After beating the strong Hungarian team, unfortunately the England team were knocked out in the semi final by the eventual winners, Puerto Rico. 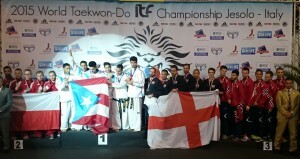 Still a good achievement, coming home with a bronze medal. On the final day Mr Thompson was part of the breaking team. Hopes were high as the England team were the World Champions from 2013. Whilst Mr Edmunds and Mr Thompson broke it was only enough to get them through to a bronze medal play-off, which the team were unsuccessful in winning. “It was a great championships and although my results were not what I wanted it’s not bad to come back with a bronze medal at this level and the England team performed amazingly well”. This was England’s best ever World Championships. Efforts now turn to the European Championships later this year in Scotland. You can see some videos of Mr Thompson competing below. Team patterns (a bit blurry and slightly sped up). This entry was posted in TKD, Uncategorized and tagged competition, ITF, taekwondo, tkd, vision on 09/06/2015 by Mr T.